Removing a mirror glued to the wall can seem like a daunting project, but it’s actually super easy to do! 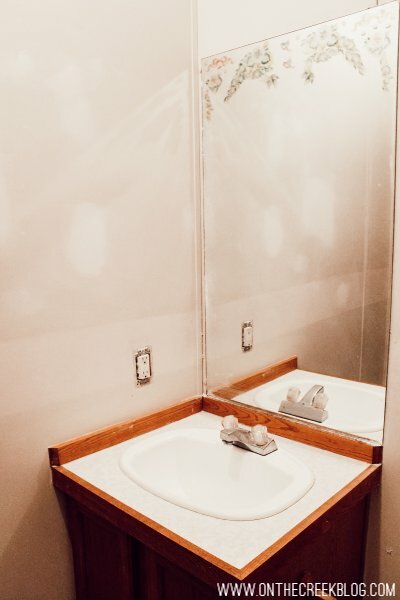 Read more to find out how we removed the mirror in the bathroom of our renovation! 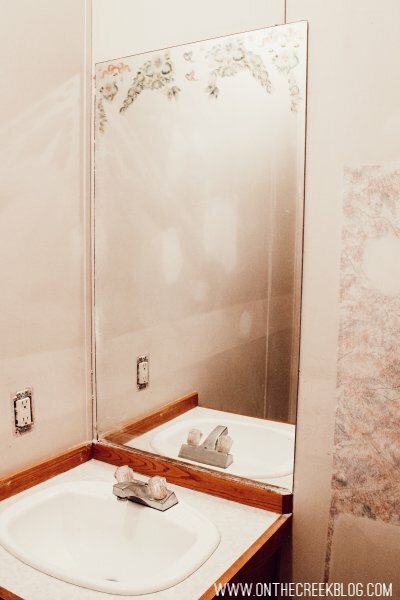 One of the bathrooms in the Kay House Reno had a mirror that was glued to the wall. The thing is, the mirror itself wasn’t in bad shape. I could have worked with it. Maybe build a nice little frame to go around it? But it had this weird design on the top! 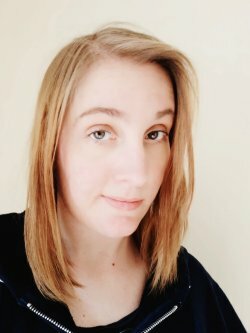 It looked like something straight out of the 1980s! I hated it & decided the mirror had to go! Of course, it couldn’t be an easy thing to do! The thing was glued to the wall! Like…y tho?! Honestly, though, I think that’s the only way you can put on those type of mirrors. Like, Liquid Nails forever & stick it up there. So how were we going to remove it? We first trying prying it a little to see what we were working with. Luckily, the mirror was pretty loose & a good portion lifted up when gently pulled. But, here’s the thing. We’re kind of impulsive. We don’t always have the materials on hand to complete the job the way we want to. We didn’t have a heat gun & wanted to complete the job, so we improvised. We decided just to pry it off the wall. 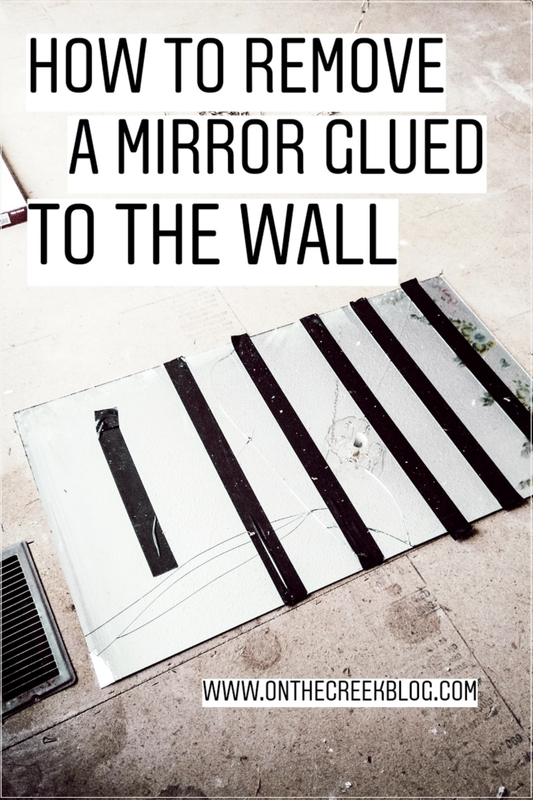 We also knew that prying it off the wall would cause the mirror to break into a million pieces, so we taped the mirror off to keep it in one piece. I would recommend taping the entire thing off until you can’t even see the mirror anymore. Of course, since we’re impatient, we didn’t do that. Once the mirror is taped together, we just used a pry bar to pry it off the wall. Once again, we were super lucky in that the mirror wasn’t holding on very strong to the wall in the first place. But the main thing to remember is to tape the mirror so glass doesn’t start flying everywhere! 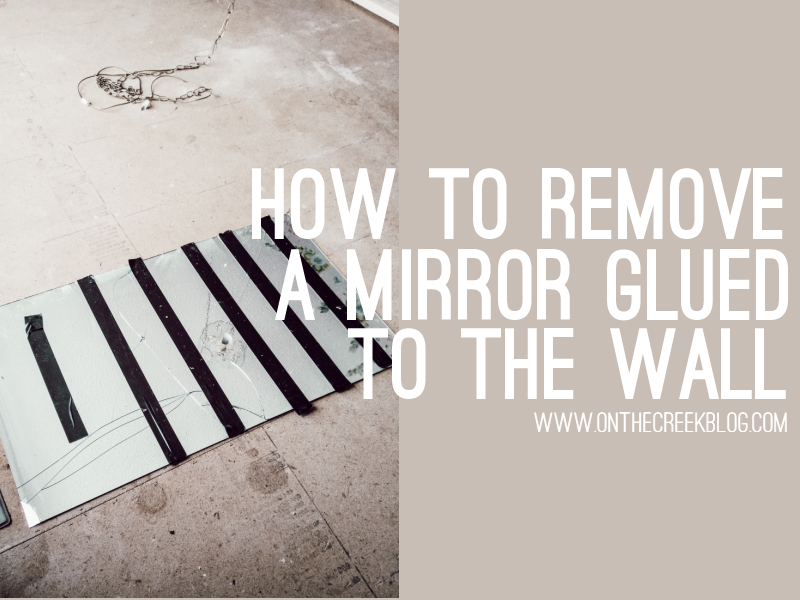 While it may seem like a tedious task, removing a glued on mirror from the wall can be a fairly easy thing to do!